Cocoon Hotel La Rive is located in a beautiful setting, on the banks of the Sûre. Surrounded by forests and the water, the hotel is a fantastic choice for those who love hiking, outdoor pursuits or who just love to be surrounded by nature. The hotel offers 19 standard rooms and 13 deluxury cottage suites. Rooms offer views over the river or the forest. Guests at the Hotel La Rive will love the hotel’s many leisure and recreational facilities which includes a tennis court and private fishing. The hotel has its own Wellness Centre featuring a sauna, aroma bath and Turkish bath. Cocoon La Rive famed gourmet restaurant serves a wide range of regional delights and a seasonal à la carte menu. Guests will enjoy choosing a bottle of wine from the hotel’s extensive wine cellar. On warmer days, the terrace makes an ideal lunch or dinner setting. 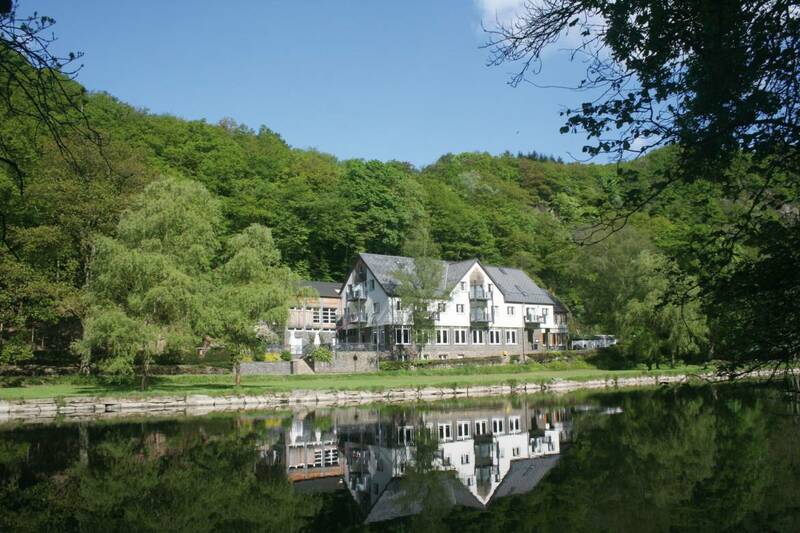 Modern, friendly and family-run hotel in an extraordinary and tranquil setting on the banks of the Sûre. Gastronomic restaurant with remarkable wine list. Gastronomic offers. Wellness centre with sauna, Turkish bath, aroma bath, fitness, solarium. Private fishing.